Unknown to many throughout the Gulf of Mexico (GOM) advocacy network, the BP Gulf oil spill has triggered a sea change in the way that oil spills are addressed around the world. Only because of the indiscriminate use of Corexit by BP throughout the Gulf did this environmental assault rise to a level of awareness necessary to change the status quo. 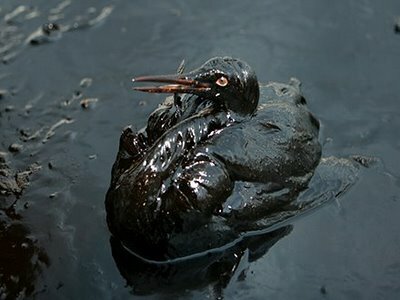 The public outcry within the USA and beyond was heard by nations everywhere who have since been confronted with cleaning up massive oil spills. Here’s a short list of oil spills which have occurred since the BP oil spill in the Gulf. 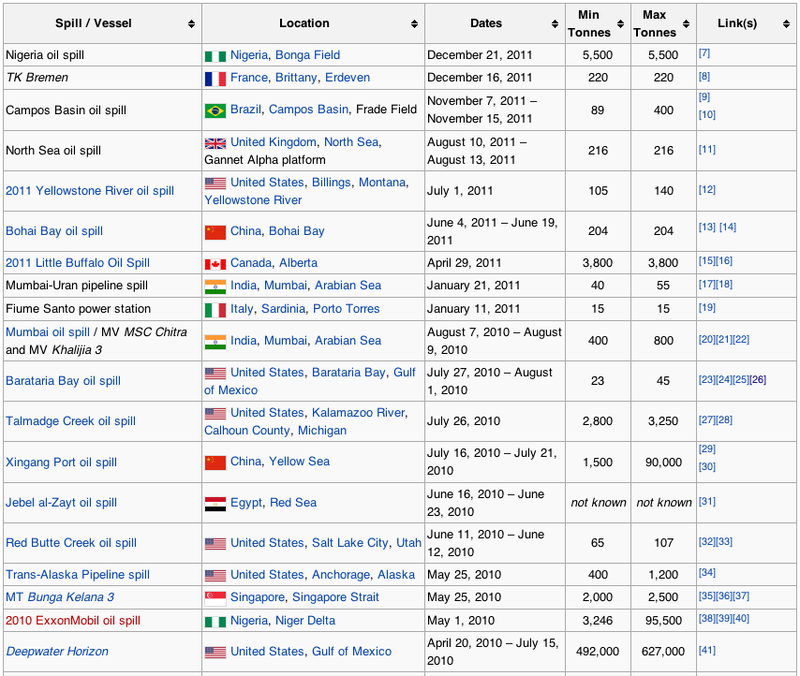 This list does not contain hundreds of other oil spills around the globe which have never been properly cleaned up. 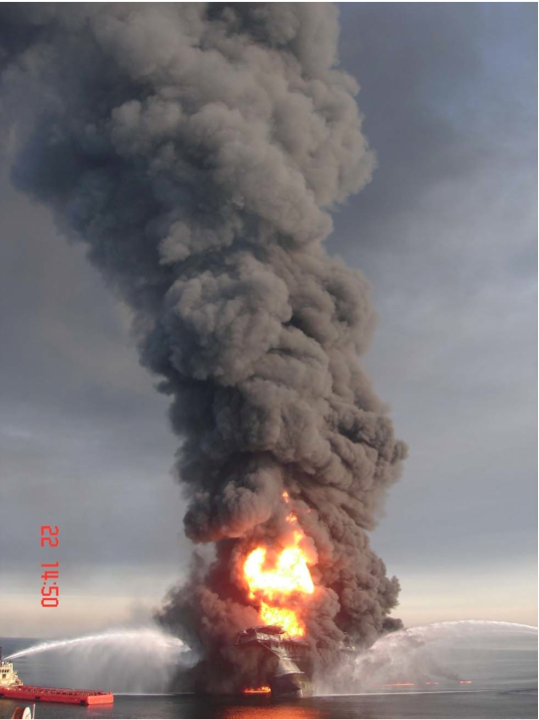 This list only includes those spills that have risen to a certain volume of oil spilt; therefore, many other spills do not appear which are in urgent need of remediation. For example, the Niger River Delta is an area which has seen numerous oil spills that have gone addressed for years. The BP Gulf Oil Spill revealed the truth about Corexit which would have otherwise stayed hidden. Although a great environmental tragedy, the BP oil spill in the GOM has had at least one extremely important benefit to the world community. This unintended benefit took the form of blowing the whistle on the use of the highly toxic dispersant Corexit. The name given to Corexit was chosen to subliminally lead one to believe that it corrects oil spills when it really doesn’t. Corexit effectively hides the oil by dispersing it in a minute form which makes it much more difficult to remediate. Only by “blowing up” in the Gulf of Mexico with such dramatic fireworks was the world’s attention captured long enough so that the practice of wanton dispersant spraying would be exposed. As we have seen everywhere else on the planet, even in the USA’s backyard at Prince William Sound, Alaska, very little real change has ever occurred. The revelations oozing from the Gulf have had, and will continue to have, tremendous effects on oil spill response globally for decades to come. The Deepwater Horizon explodes and burns before sinking into the Gulf of Mexico. Steve Pedigo, CEO of OSEI Corporation in Dallas, TX has been invited to shorelines around the world to put on demonstrations for OSE-II, a bio-remediation product which has been approved by the EPA. OSE II has been the bio-remediation agent of choice for various US military oil spills in places where their operations have required a quick, clean and effective approach. Mr. Pedigo was recently invited to the coastline of the Middle East to put on a demonstration of OSE-II. The results of this presentation, as well as a number of other demonstrations given at other oil spill sites around the world by Pedigo, have produced a very positive response to bio-remediation agents. According to Mr. Pedigo, the BP oil spill response using Corexit in the Gulf marked a turning point for dispersant use. The wanton use of a toxic (per the EPA NCP notebook) product like Corexit precipitated so much negative and justified criticism that it was instrumental in changing the ‘minds’ of entire nations. They quickly became aware of the many toxic side effects and collateral damage associated with chemical dispersants like Corexit. Mr. Pedigo also pointed out the veritable sea change in attitude which has taken place throughout the oil spill response industry itself. With the exception of the USA, many countries will never go back to the highly questionable and environmentally-damaging use of dispersants like Corexit. Along with many other affected and concerned parties, the Gulf Oil Spill Remediation Conference questions why the US Coast Guard, EPA, NOAA and Departments of Interior and Energy have yet to request an immediate termination of Corexit use in the Gulf of Mexico. The OSE-II product has been approved for use and even utilized by the US Armed Forces with great success. Yet the EPA persists in favoring Corexit in remediating oil spills in US territorial waters. These and other questions need to be satisfactorily addressed before the GOM ecosystems are forever altered. Chemical destruction on the order of the BP oil spill ought to be minimized however possible. Particularly in light of the massive amount of hydrocarbon effluent which poured into the GOM in 2010, measures should be taken to mitigate this petrochemical disaster, not make it worse. In the view of many experts, Corexit has only made the whole Gulf situation much worse, even if it did ‘disappear’ a lot of the oil. This photo is one that BP would rather never have been taken. Corexit was designed to disperse the oil so that the coating of birds could be prevented. Then the effects of the oil spill would be out of sight, out of mind. The BP Gulf oil spill could then be declared officially over, as it has been. However, because the toxic side effects of Corexit cannot not be easily detected, and are not being investigated by the government or researched by the Oil & Gas Industry, the serious health effects from both spill and dispersant use continues unabated.